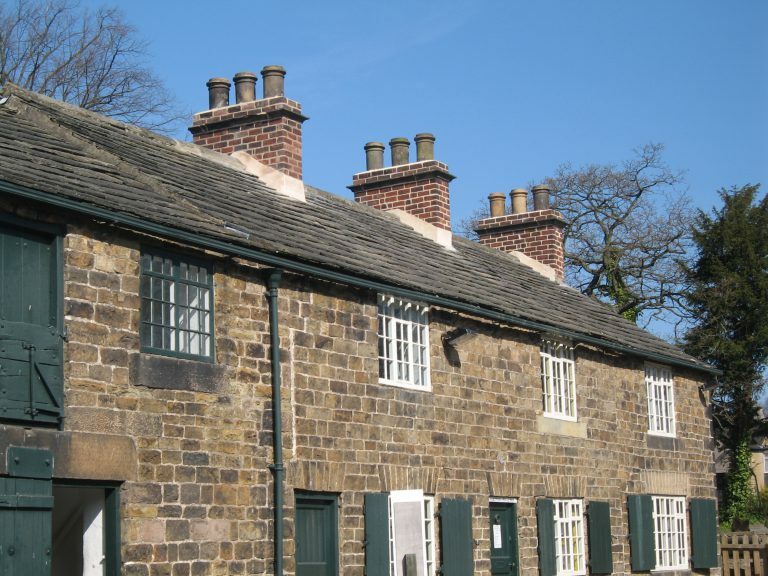 Abbeydale Industrial Hamlet is a collection of Grade I & Grade II* listed buildings and a Scheduled Ancient Monument dating back to before the 1200’s. It is home to the only intact crucible steel furnace in the world. SUKR has been working closely with local conservation officers to rebuild and restore a number of chimney stacks on this historic site. The set of three chimneys in the picture were taken down brick by brick to below the roofline. The bricks were then cleaned and the chimneys rebuilt. Each brick being put back in the exact same position as before. A fine example of SUKR’s restoration expertise. Work is due to be complete in time for the opening at Easter.